Summer fashion means sun dresses, sandals, strappy tops and tees, plus lots of shiny, jingling jewelry. For me though it seems when I buy new summer outfits I can’t always find just the right jewelry pieces. This year I set myself a challenge to make up some really fast fun simple and elegant pieces. First a trip to my local Joann’s Fabric and Craft store, straight to the jewelry aisle. I turned the corner and what did I see, a gorgeous display of Blue Moon Beads chains. So envision this, a grown woman standing in the bead aisle with their mouth hanging open (I’m sure I drooled a little). Got my chain, grabbed some jump rings, clasps and headed home to create. 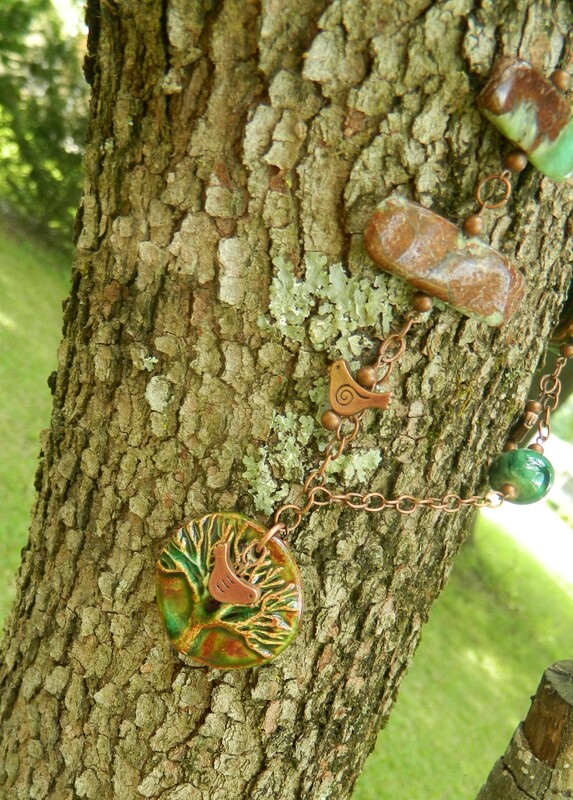 Now to challenge myself and see how long it will take to make some stunning summer jewelry. Measure out enough chain to make your necklace, place it around your shoulders, decide where to add your Blue Moon Bead pendant (love this one with the beads and chain dangles), add a clasp (I used a pretty Blue Moon Bead toggle clasp). Five minutes and a pretty necklace that you made in no time. This snake chain also from Blue Moon Beads (comes in different diameters) is even easier and took 5 minutes. Glue on the end caps that come with the chain (thanks to Blue Moon Bead for including the end cap with the chain). 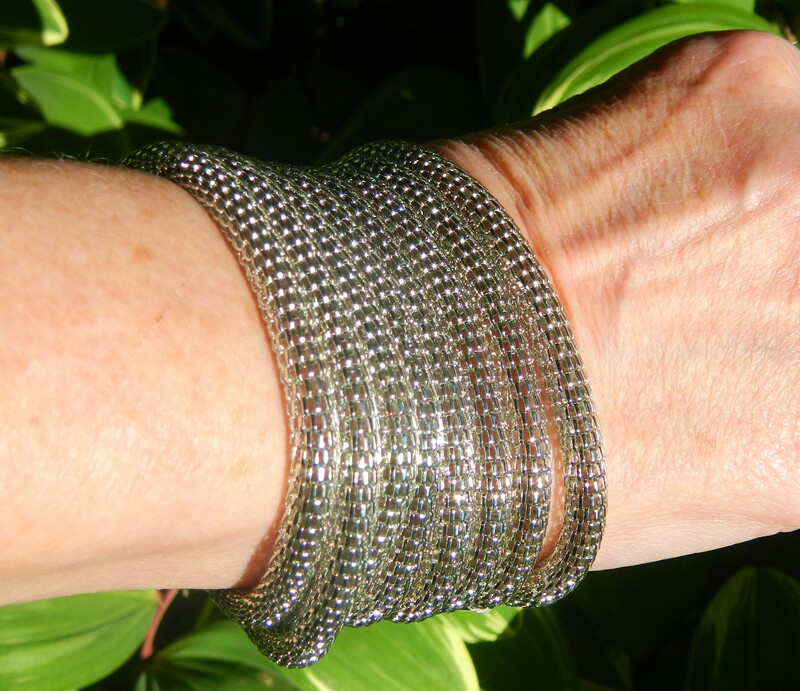 Add a jump ring and clasp and wrap it around your wrist (wrap bracelets are a big trend right now). 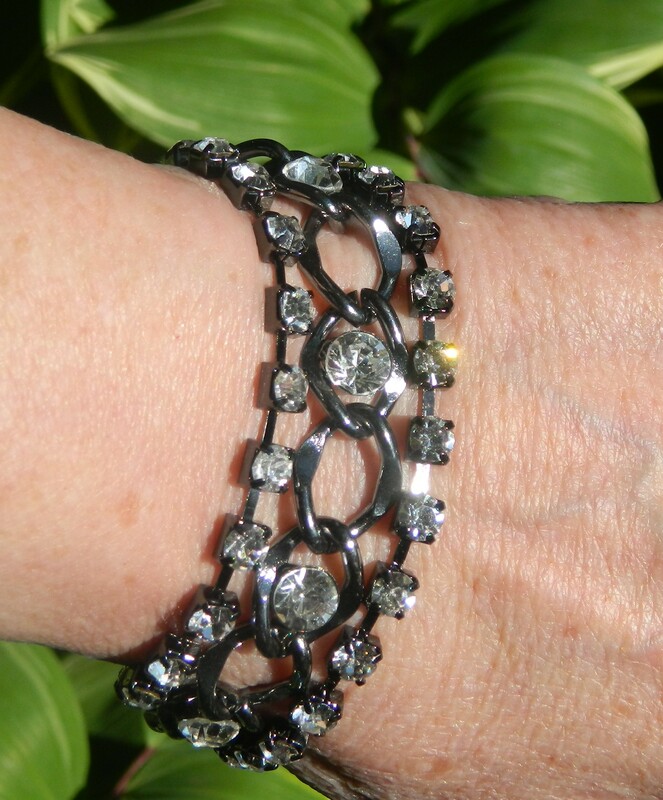 Added bonus with this bracelet its convertible and can also be worn as a necklace drapped double. Last project uses this luscious sparkly black cup chain and fancy black chain with. Time spent 15 minutes. Measure your chain (about 7 inches) snap on the end cap and gently squeeze closed, add jump rings and a clasp and your done. 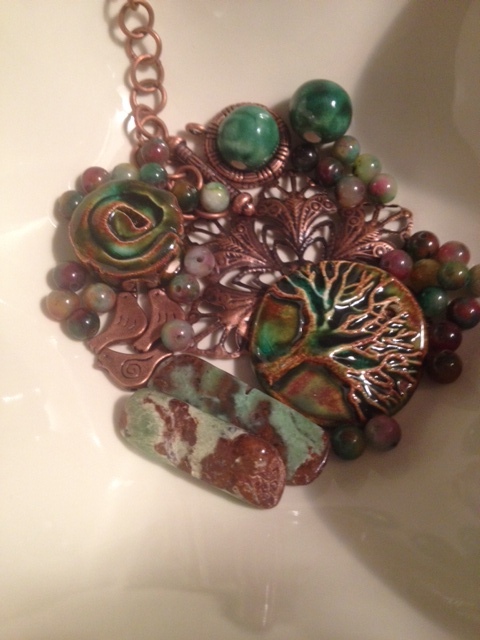 I added another Blue Moon Bead pendant for more blingy fun and movement. 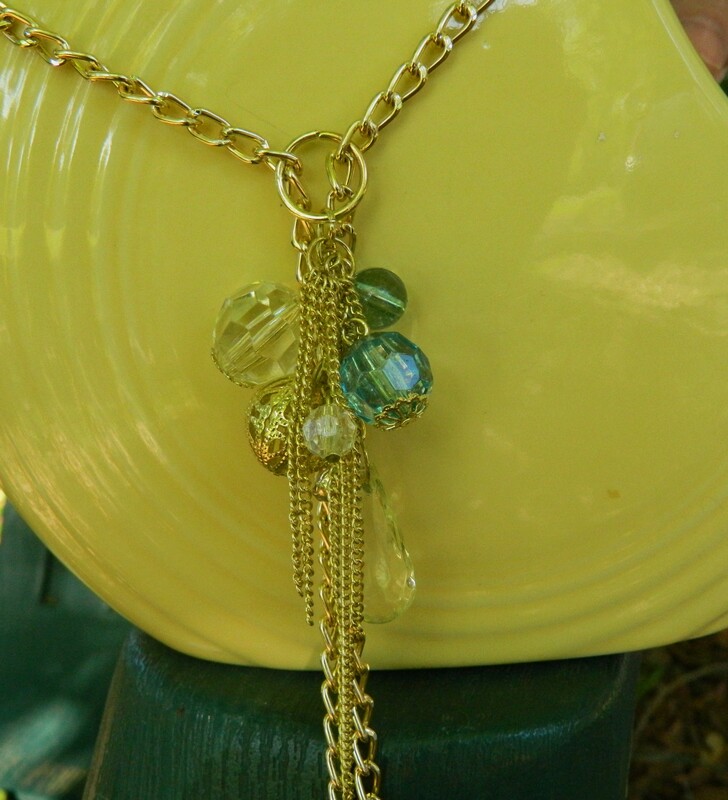 You now have 3 pieces of gorgeous, blingy, sparkling summer jewelry. The hardest part of these pieces is hanging on to them because all our friends are going to want them. 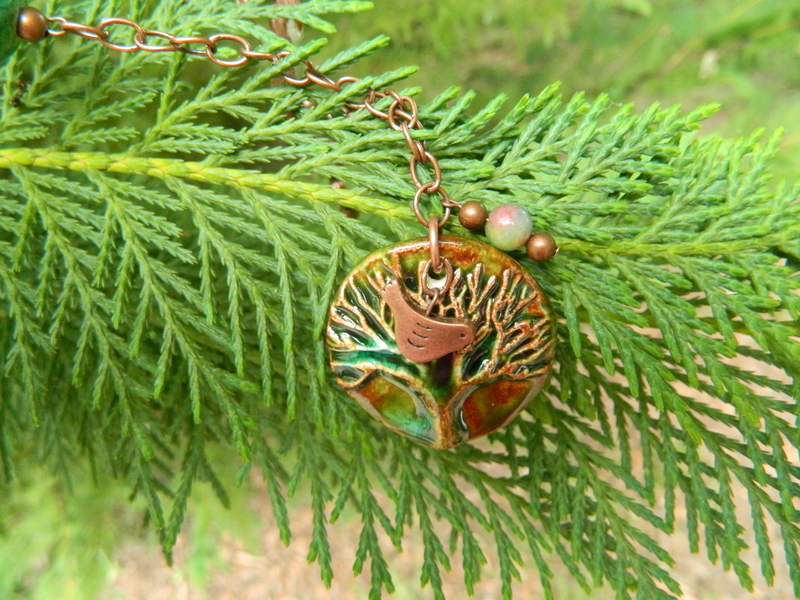 Which means your next summer get together is going to be a jewelry making party. Anyone need a good Margarita recipe for the girls night jewelry party? 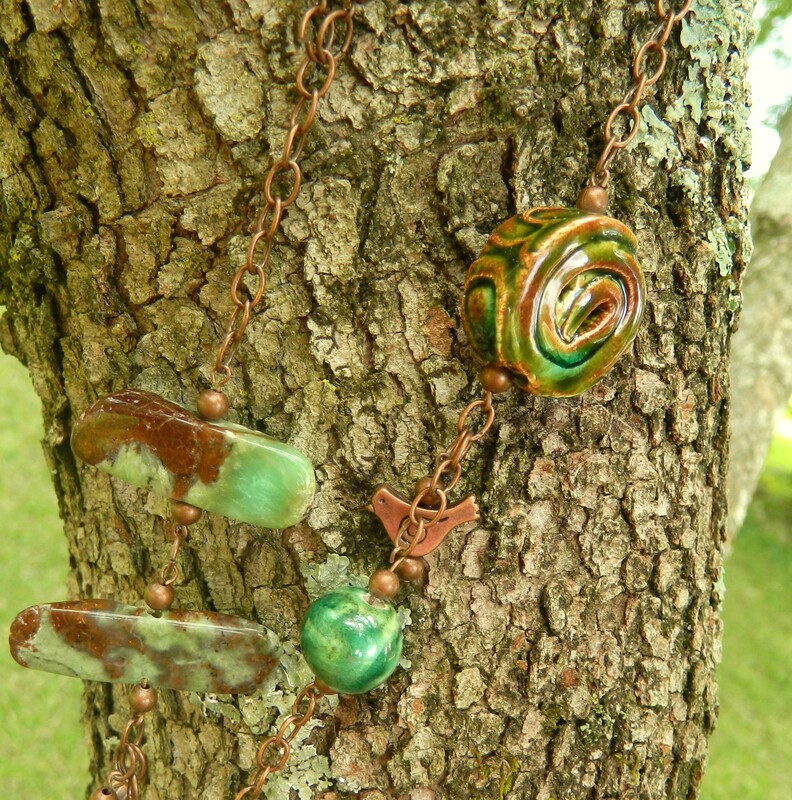 All products are Blue Moon Beads and the only tools used were two pairs of chain nose pliers and E6000 glue. Don’t forget you can find all these components at your local Joann’s Fabric and Craft store.